Why microlearning can become a key role player in the learning lifecycle. The beauty of microlearning is not just in its focused nature. When considering what role microlearning should play in your curriculum, you have a lot of flexibility. Micro assets can be used anywhere along the learner lifecycle – sometimes as a standalone piece, sometimes to augment a larger piece of training. As your learners progress through the learning lifecycle –from readiness to discovery to reinforcement– microlearning can play a helpful role in any or all of these stages. You can use an asset like a video or game to engage learners before the training ever begins. Microlearning has become increasingly relevant as technology changes the way we learn and work. Microlearning can be helpful when you’re explaining the purpose of training, motivating employees to get involved, providing helpful assets that will be useful in the larger curriculum, or all of the above. Once learners have moved into the discovery phase, your courses can help them focus on specific behaviors that need to change or information they need to know. Using these assets alone or with traditional training helps you impact and track change better. 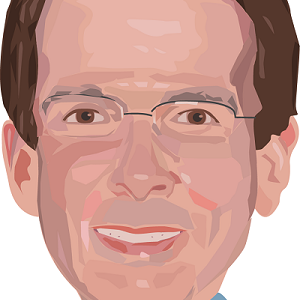 Finally, microlearning is most commonly associated with reinforcement, and for good reason. By increasing the frequency of short training reinforcements, your learners will retain information and good habits much longer. Microlearning can engage learners before training even begins. It’s not just about telling employees what they will be learning in the training; it’s also about motivating them so they want to take the training. This pre-training engagement can be done through videos, diagnostic quizzes, infographics, and other micro content that primes learners. Our client, one of the largest banks in the United States, is in the midst of a major transition as it modernizes and simplifies its banking systems. They understand that a successful transition will depend in part on their ability to clearly communicate with its employees through all phases of the transition. To do this, they partnered with AllenComm to create two motion videos that inform and excite learners about the coming changes in an open, straightforward way. This short video tells the story of the transition, and explains how the banking systems will be updated while the bank continues to do business. Using a racecar analogy, the video not only helps employees understand what the change entails, but helps them embrace the transition by seeing how it will create a stronger, better future for the company. In discovery, microlearning provides short content that focuses on one performance objective. This creates targeted behavior change where it’s needed. A 5-in-5 model can be a useful method in which five activities are conducted in five minutes, each focused on changing a specific behavior. At Northwestern University, they wanted to help high school students and teachers in science, technology, engineering and mathematics (STEM) understand how to communicate information that is often thought of as too technical. With AllenComm, Northwestern created a microlearning course called the Principles of STEM Education. The course needed to be helpful, but streamlined and understandable so it could easily be taken into any classroom Using short modules, this course helps learners understand easy ways to communicate more complicated ideas. Each module contains “why” and “how” sections to give learners a fundamental understanding of STEM communication and tools to use. This course will empower students to better communicate their ideas and facilitate future STEM grants. Trainers can use microlearning to personalize and review learning, provide reference tools, or develop performance dashboards. Without reinforcement, information can be quickly forgotten, but learners do not want to repeat a longer course only to get the specific information they needed. That’s where microlearning comes in. For example, AllenComm worked with the Corporate Executive Board (CEB) to develop a tool to reinforce what call center employees learned about different caller communication styles. This 5-in-5 tool included five skill builder modules that reinforced prior web-based training the learners had taken. Using the 5-in-5 piece, employees were able to review the information, see it again, try to get the best response, then demonstrate and discuss the behaviors. These simple microlearning tools made the overall curriculum far more effective. 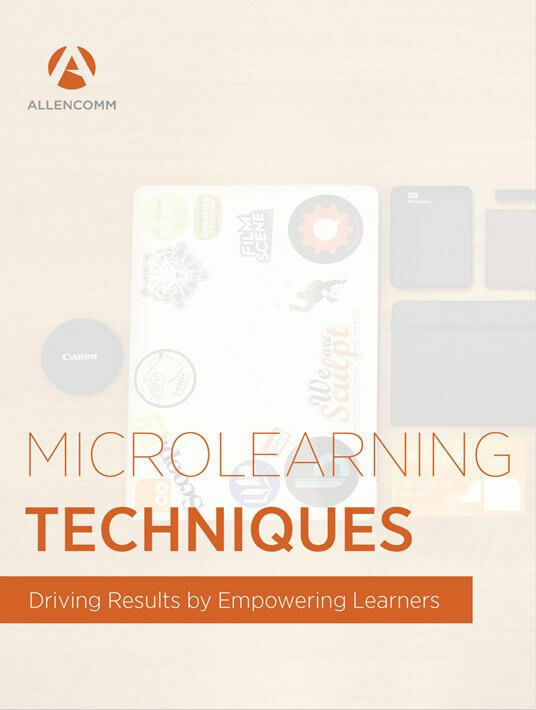 If you want to know more about the role of microlearning in the learning lifecycle, download the free eBook Microlearning Techniques: Driving Results By Empowering Learners.